Please Sign in to rate this. 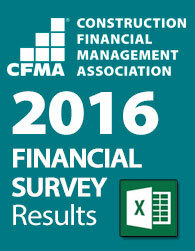 This is an Excel file of the aggregated financial results of the Financial Survey Online Questionnaire. Upon purchase, you will receive a confirmation e-mail with a link to download the file. The Excel file is not an interactive file and has no on-demand input and compare functionality. •	Best in Class as well as breakdowns by geography and company revenue within each category. For an interactive comparison of your company's financials versus the Survey results, be sure to visit www.financialbenchmarker.com!